After the war, de Veyra worked as a newspaper editor, starting El Nuevo Día (The New Day) with his former college classmate, Sergio Osmena, on the neighboring island of Cebu. Together they dug into local political issues that arose during the transition from Spanish rule to American occupation. The publication was critical of the new U.S. administration, and cautious American bureaucrats viewed de Veyra “as anti-American with pro-Republic sympathies.” Many worried that the paper might be too radical, but Osmena’s deft skills as a diplomat kept it from being censored or shut down. De Veyra served as provincial governor for little more than a year before running for a seat from Leyte in the newly created first Philippine assembly. Elected in July 1907, he served for two terms (1907–1912) alongside familiar faces. Osmena, now a representative of Cebu Province, was speaker of the assembly, and his other college contemporary, Manuel Quezon, represented Tayabas and served as majority floor leader. When Outlook magazine profiled the assembly shortly after it first convened, it noted that de Veyra had shed his reputation as a “revolutionary firebrand” in favor “of more moderate measures.” De Veyra, according to Outlook, understood the assembly to be something of a “political training-school” where Filipino politicians could prove to the world that they were capable of handling the responsibilities of self-government.5 During his time in the legislature, de Veyra earned the nickname “Protector of Children,” steering government subsidies toward pasteurizing the islands’ milk supply and authoring a law making women eligible to be schoolteachers. De Veyra backed one last, desperate measure in the waning days of the Wilson administration to speed an independence provision through Congress. Edward King of Illinois submitted H.R. 14481, a bill to enable the Philippine government, by means of a presidential proclamation, to form a constitutional convention within one year of its enactment. Once the Filipino people drafted and approved a constitution, the President could, at his sole discretion, declare the Philippines free and independent. In supporting the King bill, de Veyra cast aside concerns that the removal of U.S. military protection might embolden Japanese designs on the islands. “We are willing to take a chance and we are confident we shall be able to … defend ourselves from any possible aggression.”26 The bill went to the House Committee on Insular Affairs, but never resurfaced. The Wood–Forbes Commission visited the islands from May to August 1921 and spoke with territorial government officials, Filipinos, American residents, and “foreigners of every walk of life.” The commissioners spent a week in Manila, visited all but one of the 49 provinces of the islands, and held meetings in nearly 450 cities and towns.28 In its final recommendation, the commission not only cautioned against independence “until the people have had time to absorb and thoroughly master the powers already in their hands,” it actually recommended strengthening the powers of the governor general while weakening the territorial legislature.29 President Harding endorsed the findings and nominated General Wood to reassert U.S. authority as the islands’ new governor general. The Wood–Forbes Commission inspired a second Philippine independence mission to the United States in June 1922. As with the original mission three years earlier, de Veyra helped to coordinate its activities. Unlike the 1919 group, this one had a singular political goal: challenging the Wood–Forbes report to protect the promise of autonomy embodied in the Jones Act. Senator Quezon and Philippine house speaker Osmena, the insular legislature’s highestranking officers, led the delegation. In 1922 de Veyra opted not to stand for renomination as Resident Commissioner. In retrospect, the reasoning behind his decision is not all that clear. One could perhaps infer that de Veyra understood that, with the transition from Wilson to Harding, the case for immediate independence had been temporarily shelved. It is also plausible that, after more than 15 years in elected office, he was ready to return to private life. While he subsequently held appointed positions, de Veyra never again sought elected office and seemed content to focus on academic pursuits. 1Congressional Record, House, 67th Cong., 4th sess. (15 February 1923): H3696–3698. 2Gregorio F. Zaide, Great Filipinos in History: An Epic of Filipino Greatness in War and Peace (Manila, PI: Verde Book Store, 1970): 616–621; Carlos Quirino, Who’s Who in Philippine History (Manila, PI: Tahanan Books, 1995): 69; “DeVeyra Buried Today,” 8 March 1963, Manila Times: 2-A; U.S. Passport Applications, Hawaii, Puerto Rico, and Philippines, 1907–1925, box 4266, vol. 24: Passport Applications-Philippine Islands, National Archives and Records Administration (hereinafter NARA), Washington, DC, http://search.ancestrylibrary.com (accessed 2 March 2015); Congressional Directory, 67th Cong., 4th sess. (Washington, DC: Government Printing Office, 1923): 126. 3Michael Cullinane, Ilustrado Politics: Filipino Elite Responses to American Rule, 1898–1908 (Quezon City, PI: Ateneo de Manila University Press, 2003): 210– 219. 5G. H. Blakeslee, “The First Philippine Assembly,” 25 January 1908, Outlook: 174–179, quotation on p. 178. 6Zaide, Great Filipinos in History: 618; Peter W. Stanley, A Nation in the Making: The Philippines and the United States, 1899–1921 (Cambridge, MA: Harvard University Press, 1974): 168. 7“Five Natives: Philippine Commissioners Are Selected,” 16 October 1913, Boston Daily Globe: 11; Stanley, A Nation in the Making: 205–206; Zaide, Great Filipinos in History: 618. 8Diario de Sesiones de la Cámara de Representantes, 11 January 1917 (Manila, PI: Bureau of Printing, 1918): 433; Jaime C. de Veyra Certificate of Election (endorsed 17 March 1917), Committee on Elections (HR65-AJ1), 65th Congress, Records of the U.S. House of Representatives, Record Group 233, NARA; “Yangco and Veyra Chosen to Be Resident Commissioners to U.S.,” 11 January 1917, Cablenews-American (Manila, PI): 1. 9“The New Resident Commissioners,” 12 January 1917, Cablenews-American Daily (Manila, PI): 6. 10“New Filipino Agents in United States,” 20 April 1917, Christian Science Monitor: 7. 11De Veyra Certificate of Election (endorsed 9 February 1920), Committee on Elections (HR68-AJ2), 68th Congress, Record Group 233, NARA; Congressional Directory, 67th Cong., 4th sess. : 126. 12Zoilo M. Galang, ed., Leaders of the Philippines (Manila, PI: National Publishing Company, 1932): 16–18. 13“Filipino Women Have Made Great Strides, One of Them Says,” 2 May 1920, Boston Globe: SM15; “Status of Philippine Women High,” 26 October 1922, Christian Science Monitor: 3; “Mother is ‘Boss,’ ” 5 June 1922, Los Angeles Times: sec. 3, p. 11; “Says Suffrage Is in Grasp of Filipino Women,” 27 April 1922, Baltimore Sun: 11. 14“Mme De Veyra Shows Filipino Progress,” 10 January 1921, Boston Globe: 4. 15Congressional Record, House, 65th Cong., 3rd sess. (16 February 1919): 3523–3524. 17Public Law 64-240, 39 Stat. 545 (1916); “Philippine Issue to be Discussed,” 8 December 1917, Christian Science Monitor: 11; Jaime C. de Veyra, “The Philippine Elections,” 6 July 1919, New York Times: 30. 18“New Philippine-American Chamber of Commerce,” January 1920, Bankers’ Magazine, vol. 100: 72; “Trusts American Capital,” 23 June 1921, New York Times: 28; Hearing before the House Committee on Insular Affairs, Indebtedness of the Philippine Government, 67th Cong., 1st sess. (1921): 18–19; Hearing before the House Committee on Ways and Means, Internal-Revenue Revision, 67th Cong., 1st sess. (1921): 22–24; Hearing before the House Committee on Insular Affairs, Increase of Salaries of Auditor and Deputy Auditor of the Philippine Government, 67th Cong., 4th sess. (1922): 3–6. 19Frank H. Golay, Face of Empire: United States-Philippines Relations, 1898–1946 (Quezon City, PI: Ateneo de Manila University Press, 1997): 171–172. 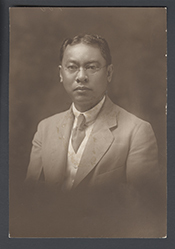 20Bernardita Reyes Churchill, The Philippine Independence Missions to the United States, 1919–1934 (Manila, PI: National Historical Institute, 1983): 9–17. 21Churchill, The Philippine Independence Missions to the United States, 1919–1934: 13, 15, 17–18, 305. 22Ibid., 9–17, 27; Congressional Record, Appendix, 66th Cong., 1st sess. (11 June 1919): 8848; Churchill, The Philippine Independence Missions to the United States, 1919–1934: 27; “Filipinos Press Claims,” 5 June 1920, Christian Science Monitor: 10. 23Gerald E. Wheeler, “Republican Philippine Policy, 1921–1933,” Pacific Historical Review 28 (1959): 377–390; Eugene Trani and David L. Wilson, The Presidency of Warren G. Harding (Lawrence: University Press of Kansas, 1977): 158–159. 24Woodrow Wilson, Eighth Annual Message, December 7, 1920, in American Presidency Project, ed. John T. Woolley and Gerhard Peters, http://www.presidency.ucsb.edu/ws/index.php?pid=29561 (accessed 15 January 2016). See also Jaime C. de Veyra, “The Philippine Problem: The Truth about the Philippines,” 5 March 1921, The Independent 7, no. 309: 12–14. 25Churchill, The Philippine Independence Missions to the United States, 1919–1934: 27. 26“Filipino Independence Gets a Boost in House,” 17 December 1920, Los Angeles Times: 11. 27“Policy in Philippines Waits on Wood’s Report,” 15 March 1921, New York Tribune: 4; “Seek Philippine Independence,” 15 March 1921, Washington Post: 6; “Wants Filipinos Given Short Test,” 2 June 1921, Washington Post: 4. 28Condition in the Philippine Islands: Report of the Special Mission to the Philippine Islands to the Secretary of War, 67th Cong., 2nd sess., H. Doc. 325 (1922): 10–12. 29Condition in the Philippine Islands: 45–46. 30“Criticize Philippine Report,” 2 December 1921, Washington Post: 6; Congressional Record, Appendix, 67th Cong., 2nd sess. (5 January 1922): 13263–13268. 31Congressional Record, House, 67th Cong., 2nd sess. (21 June 1922): 9110–9112, quotation on p. 9110. Towner also inserted the mission’s petition for independence into the Record. 32Churchill, The Philippine Independence Missions to the United States, 1919–1934: 29–52; “Insist All Filipinos Want Independence,” 25 July 1922, New York Times: 9; Congressional Record, House, 67th Cong., 2nd sess. (30 June 1922): 9821–9844. 33Congressional Record, House, 67th Cong., 4th sess. (15 February 1923): 3696–3698; “Seeks Constitution for the Philippines,” 16 February 1923, Washington Post: 4. 34“Jaime C. de Veyra,” Biographical Directory of the United States Congress, 1774–Present, http://bioguide.congress.gov/scripts/biodisplay.pl?index=D000276; Zaide, Great Filipinos in History: 618–619. 35“New Filipino Commissioner,” 18 February 1923, Baltimore Sun 2; “De Veyra Buried Today”; “Jaime C. de Veyra,” Biographical Directory of the United States Congress, 1774–Present, http://bioguide.congress.gov/scripts/biodisplay.pl?index=D000276. Papers: In the George F. Parker Papers, ca. 1919-1926, 0.6 linear foot. Other authors include Jaime C. De Veyra. Papers: In the Anti-Imperialist League Papers, 1903-1922, 597 items and 5 volumes. Other authors include Jaime D. De Veyra. Beyer, Henry Otley and Jaime C. DeVeyra. Philippine Saga: A Pictorial History of the Archipelago Since Time Began. Manila: Philippines: Capitol Publishing House, 1953. "Jaime C. de Veyra" in Asian and Pacific Islander Americans in Congress, 1900-2017. Prepared under the direction of the Committee on House Administration by the Office of the Historian and the Office of the Clerk, U.S. House of Representatives. Washington: Government Publishing Office, 2018. De Veyra, Jaime C. Filipinismos en lingua española. Manila, Philippines: Nueva Era Press, 1951. ___. La hispanidad en Filipinas. Madrid, Spain: Publicaciones del Círculo Filipino, 1961. ___. Tandaya O Kandaya. Manila, Philippines: Impr. "Cultura Filipina", 1912. De Veyra, Jaime C. and Mariano Ponce. Enfemérides filipinas. Manila, Philippines: I.R. Morales, 1914.